Recital Hall is available to teachers who wish to use the space for student lessons, concerts and piano workshops. The venue has the capacity to cater for 100-110 people for recitals. 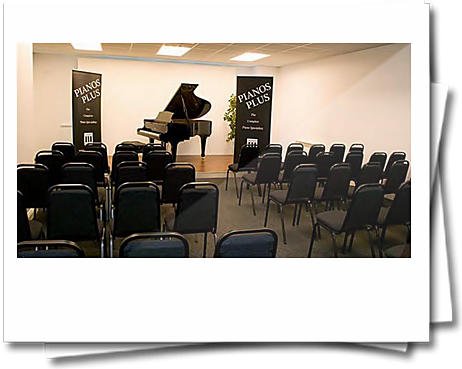 Pianos Plus provides the use of a fully prepared grand piano as part of the service. The facility is free of charge to qualifying users. This is an excellent opportunity to give young perfomers a chance to perform in front of their parents and relatives.